Hey guys! 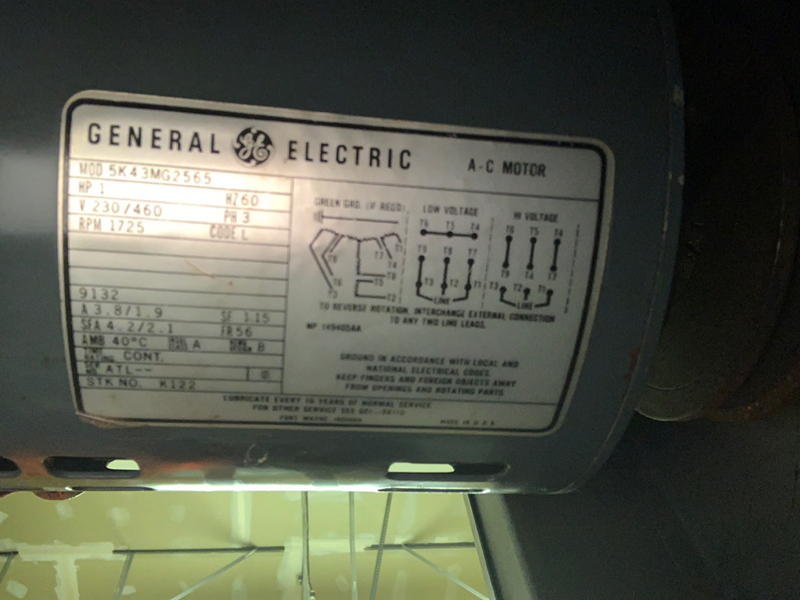 Hoping I can draw out one of you motor experts. I have a South Bend Heavy 10 which is 3 phase. 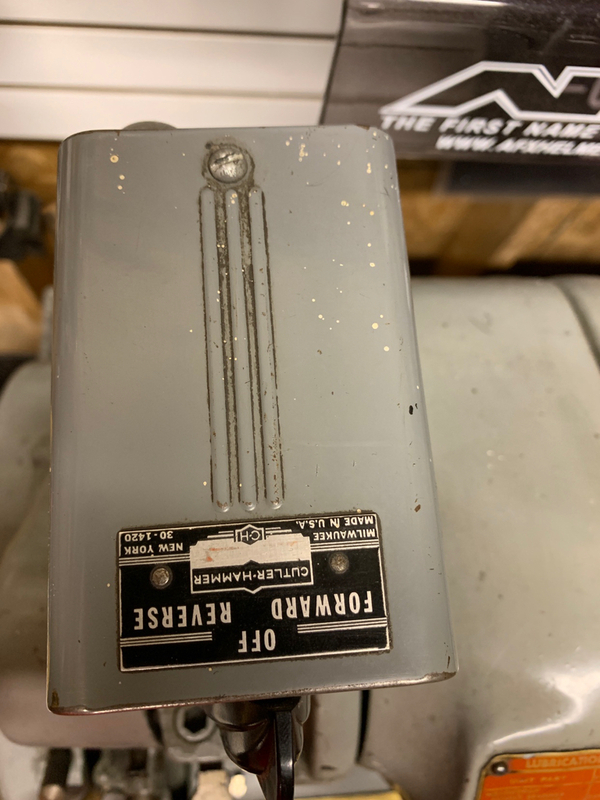 I am using a 30a feed to my phase converter to just an on/off switch. I would like to institute a variable speed controller. I will attach pics of the plate specs and what I have currently. Also this link was something that was referred from someone else but I want to be sure before I start making investments that I have the right option. This is the One referred to me. Yeah, that one will do it. It handles 1HP motors and will replace both the Phase-A-Matic and the Forward/Off/Reverse switch. Don't know if the knob speed control is what you're looking for. It also has no speed sense so no really tight speed control, but likely well within what you need. That's a good VFD, can step up to the KBAC-27D so if you ever want to go bigger than 1 HP you'll be able to. Cost difference is not much. Forward/reverse switch is a separate P/N and needs to be purchased separately. Jog switch is a nice addition as well but is also separate. Probably only an additional $50 for adding these 2 switches. Everything with these is very well set up and high quality. I'm typically nervous about anything electrical/electronic as far as my ability to set up properly, but this was a piece of cake. I ordered that speed controller and the separate switch as well. The knob speed control for what i want to do should hopefully be accurate. I did not realize this would allow me to take my phase converter out. Is this true? Last edited by italbomber; 02-11-2019 at 12:49 PM. 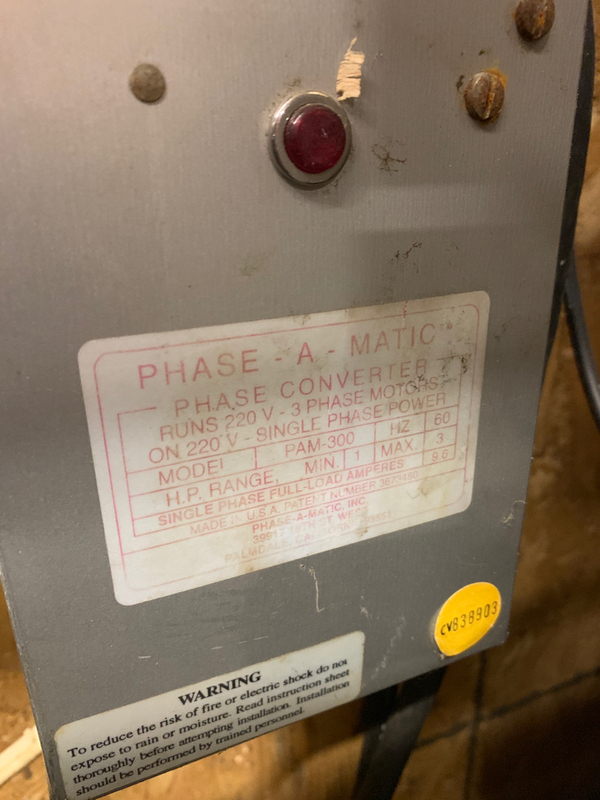 Phase converter will not be required. The KBAC-27 that I got requires 220v input, not sure if the KBAC-24 will take 110 and 220 but should be in the literature. Definitely no phase converter though. Lots of YouTube videos on setup of these drives. thats a nice one but properly sized and with switches it will be far more expensive than the one you have in the link. I would go with a 2hp GS2 from automation direct. Ok sweet. Hopefully the install is simple. I have a 240v 30a feed there to the phase converter now. I hope I’m able to just use that after I remove the existing phase converter. just realized you already bought...next time it may be wise to consult the drive manufacturer in lieu of az billiards. I have had lots of leads in these. This seemed to be the most popular among the guys I have talked to. I have sent the same info and gotten back similar responses so I went with it. you'll likely get away with it but you will never get the benefits that 3 phase has to offer nor the benefits of a badass lathe like a heavy 10. The motor is already undersized (in my opinion) for the size and weight of a heavy 10 spindle. You now have a vfd that wont even output current adequate to meet the requirements on the nameplate of the motor.